Does your child receive services through Kansas Department of Aging and Disability Services (KDADS) as part of a Home and Community Based Services Waiver (HCBS)? The article below is the first of a four-part series. Part 1 includes an overview of Person-Centered Service Plan, how it impacts your child with disabilities, your role in this process, and what to expect through the development and implementation of a Person-Centered Service Plan. What is the Legal Representative/Participant role in the Person-Centered Service Plan Process? Participants/Legal Representatives have an important role in the development of the Person-Centered Service Plan. The Person-Centered Service Plan is the overarching document that helps guide -an individual towards achieving their preferred lifestyle. The Person-Centered Service Plan takes the place of the Integrated Service Plan (ISP) and includes the authorized services (previously known as the Plan of Care), the Person-Centered Support Plan, Behavior Support Plan, IEP and any other applicable documents. While the Manage Care Organization (MCO) Care Coordinator develops the Person-Centered Service Plan, the Participant, their Legal Representative and the Targeted Case Manager supply the other essential documents. The Participant and Legal Representative work with their Care Coordinator and Targeted Case Manager by leading the meeting and effectively helping to coordinate the Person-Centered Service planning process. Participants and Legal Representatives can identify who they want to attend their planning meeting in addition to the required participants. The required participants include the individual who is receiving services, their legal representative, the MCO Care Coordinator and the Targeted Case Manager (when applicable). Everyone who attends the meeting will help to guide the participant in developing their Person-Centered Service Plan so that it reflects the participant’s personal preferences, strengths, weaknesses and goals. The “Legal Representative” for a child under 18 is generally the parent of the child with disabilities. Once a youth turns 18 they become their own legal representative unless they have a court appointed guardian or an activated durable power of attorney for health care matters. In any case the child or youth will be encouraged to make decisions about their care with facilitated decision-making or other means. The abbreviation ‘PSCP’ has been used for a long time in Kansas. Therefore, history was preserved and the name of the Person-Centered Support Plan was not changed. New federal criteria require states to have a document that, in Kansas, has the same acronym. The easiest way to distinguish to the two is to think of the “S”. The document that meets federal criteria is called the Person-Centered Service Plan. The document that meets State Regulation (K.A.R. 30-64-21) is called the Person- Centered Support Plan. Both documents work together to support the individual. Because of the potential for confusion the State will not use the acronym “PCSP” when referencing the Person-Centered Service Plan. Legal Representative – refers to any durable power of attorney or legal representative assigned by court or selected by the participant, and/or legal guardian. Person-Centered Service Plan – a written service plan developed jointly with an individual (and/or the individual’s authorized representative) that reflects the services and supports that are important for the individual to meet the needs identified through a needs assessment, what is important to the individual regarding preferences for the delivery of such services and supports and the providers of the services and supports. (42 CFR § 441.725(a) and (b)). Is your child/youth on Medicaid and receives services through Kansas Department for Aging and Disability Services (KDADS) as part of the Intellectual and Developmental Disability (IDD) Home Community Based Service (HCBS) waiver? This is the second in a four-part series. This series will provide an overview of role of individuals and their legal representatives in the planning process for Person Centered-Support Plans. What is a Person Centered-Support Plan, what information is discussed, and how do parents participate in this process? The Person-Centered Support Plan is a document that is related to the Person-Centered Service Plan that allows the participant to self-assess personal preferences, strength, weaknesses, and goals prior to the Person-Centered Service Plan meeting. This process is specific to the participants on the IDD waiver. Under K.A.R 30-63-21 the Support Plan has certain requirements that help support the participant in his/her preferred lifestyle. For the IDD population, the Target Case Manager (TCM) assists the participant with completing the Support Plan prior to holding the Person-Centered Service Plan meeting. The TCM also ensures that the Managed Care Organization’s (MCO) Care Coordinator has a copy of the Support Plan to include with the Person-Centered Service Plan documentation. Some of the areas that will be discussed in the Support Plan are service options that will assist the participant in progress toward established goals, and identify gaps that need to be filled, assessing the participants understanding of risks and consequences if gaps remain and how the participant would like their services to be delivered. A lack of community and social supports that may not be available to the participant, and that may not be furnished directly by the MCO is an example of a gap the Support Plan helps to identify. Participants will identify their vision for a good life by identifying their hopes and dreams and who they prefer to be a part of their supported decision making. The Person-Centered Support Plan is developed in the participants own words addressing information including health information, legal decision makers, communication preferences, accomplishments, barriers to desired goals and circle of supports. If the participants have an Individual Education Plan (IEP) or Behavior Support Plan this will be included in the Plan. The Behavior Support Plan will include information on interventions or medications the participant might need to be successful in his/her life choices. What is the participants dream for work, school and daily living? What level of supported decision making is needed? What naturals supports are available? Is there a Behavior Support Plan or Individualized Education Program? Is your child/youth on Medicaid and receives services through Kansas Department of Aging and Disability Services (KDADS) as part of the Home Community Base Service (HCBS) waiver? This is the third in a four-part series. This series will provide an overview of the Participant Interest Inventory for participants on the Autism (AU), Frail Elderly (FA), Physical Disability (PD), Technology Assisted (TA) and Traumatic Brain Injury (TBI) waiver and the role the participant and the legal representative have in the planning process. What is the PII, what information is discussed, and how do legal representatives and guardians participate in the process? The (PII) is a Person-Centered Service Plan related document that allows the participant to self-assess personal preferences, strengths, weaknesses and goals prior to completing the Person-Centered Service Plan meeting. A PII must be completed for all individuals on the AU, FE, PD, TA, and TBI waivers. A PII is not required for those on the Intellectual Developmental Disability (IDD) or Serious Emotional Disturbance (SED) waiver as there is an existing process in place for those individuals. The Managed Care Organization’s (MCO) Care Coordinator will coordinate sending the PII to the participant prior to the Person-Centered Service Plan meeting. The participant and/or participant representative may complete the document prior to the meeting, or during the Person-Centered Service Plan meeting, based on the participant’s preference. If desired, the MCO Care Coordinator can assist the participant and legal guardian/legal representative in completing the PII. Some of the areas that will be addressed in the PII are participant in progress toward participant’s goals, gaps that need to be filled, the participants understanding of risks and consequences and how the participant would like their services to be delivered. A lack of community and social supports that may not be available to the participant, and that may not be furnished directly by the MCO, is an example of a gap the PII will help identify. Participants will identify their vision for a good life by identifying their hopes and dreams and who they prefer to be a part of their supported decision making. The PII is developed in the participants own words addressing information including health information, legal decision makers, communication preferences, accomplishments, barriers to desired goals and circle of supports. What is the participant’s dream for work, school and daily living? What natural supports are available? Is there an Individualized Education Plan (IEP)? 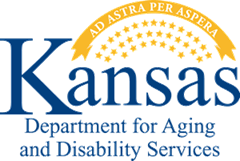 Is your child/youth on Medicaid and receiving services through Kansas Department of Aging and Disability Services (KDADS) as part of the HCBS waiver? This is the fourth article in a four-part series about Person-Centered Service planning. This series will provide questions and answers that will help participants and legal representatives throughout the planning process. 1. Where should the Person-Centered Plan meeting take place? A: The Person-Centered Service Plan meeting should take place at a time and location that is convenient for the individual that will be receiving services. Please note that the sooner this meeting takes place, the sooner HCBS services can begin. 2. What should a “back up plan” consist of? A: A backup plan is a plan that addresses what happens in the event of a staffing problem or an emergency. It should identify risk factors and strategies to minimize them. The backup plan is intended to keep the authorized services going so the individual can remain safely in the environment. Each backup plan will be specific to the individual’s needs. 3. What if someone commits to providing a service in the plan then does not follow through? A: If a provider is not providing services appropriately according to what has been authorized in the Person-Centered Service Plan, the MCO Care Coordinator needs to be notified so the individual can choose a different provider or the MCO can address the situation with the HCBS provider. Ask your MCO what their process is for filing complaints and grievances. 4. Who does the participant or legal representative contact if they feel their “rights” are being restricted? A: Contact Child Protective Services or Adult protective services to report suspected abuse, neglect or exploitation at 1-800-922-5330. In addition, for individuals on the IDD waiver, contact your local CDDO to report the restriction. The Support Plan is required to ensure an individual’s right to privacy, dignity, respect and freedom from coercion and restraint. 5. Who has the right to have access to the participant’s Person-Centered Service Plan? A: Each HCBS provider that has agreed to provide services to the individual will be required to have a copy of the Person-Centered Service Plan. The individual and their legal guardian/representative will also have a copy of the plan. Any additional providers who the individuals wish to have a copy of the plan may be given a copy. The individual will identify who they would like their information released to when they fill out their Release of Information document with their CDDO and MCO. 6. Can the Person-Centered Service Plan be re-written anytime? Change in functional ability to perform two or more Activities of Daily Living (ADLs) or three or more Instrumental Activities of Daily Living (IADLs) compared to the most recently assessed functional ability. Change in behaviors that may lead to loss of foster placement or removal from the home. Significant change in informal support availability, including death or long-term absence of a primary caregiver, and/or any participant identified changes in informal caregiver availability that results in persistent unmet needs that are not addressed in the most recently developed Person-Centered Service Plan. Post-transition from any alternate setting of care (i.e. : state hospital, nursing home, etc. ), when the participant was not residing in a community-based setting for thirty days or greater. Upon the request of any waiver participant, guardian or legal representative. Upon circumstances as defined in Article 30-63-21.8.c.1-3. Any change in needs for an HCBS recipient not listed above. 7. Is the participant required to take the Participant Interest Inventory? A: The Participant Interest Inventory document is required for individuals on the Autism, Frail Elderly, Physically Disabled, Technology Assisted and Traumatic Brain Injury waivers. Individuals on the IDD waiver are only required to complete the Person-Centered Support Plan. 8. How do the PII and Person-Centered Support Plan support the participant? A: The PII and Support Plan provide and enhanced level of individualized detail. These tools identify the areas where an individual has expressed their support needs and allows the individual to inform the team on how they would like the supports delivered to them. The plans should be in the participant’s words and require the participant and legal guardian/representative to sign that they agree with the final document. Families Together is pleased to have partnered with Kansas Department of Aging and Disability Services to provide this series of articles about Person Centered Service Plans. If you have further questions about the critical importance of your participation in these plans, please call one of the Families Together offices.